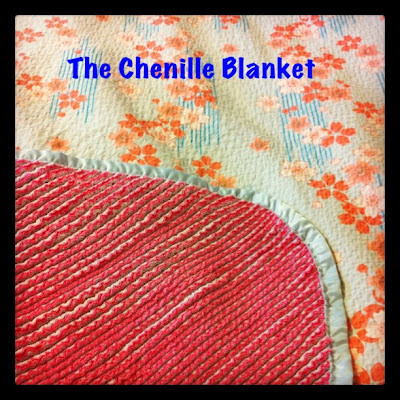 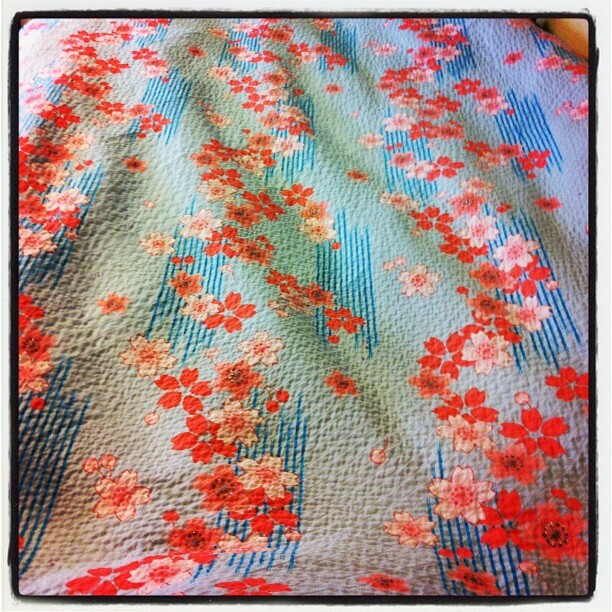 I finished up the Chenille blanket I was making over the weekend. I meant to finish it almost two weeks ago and things came up, but I had the time this past Sunday and it's on my bed at school finally! 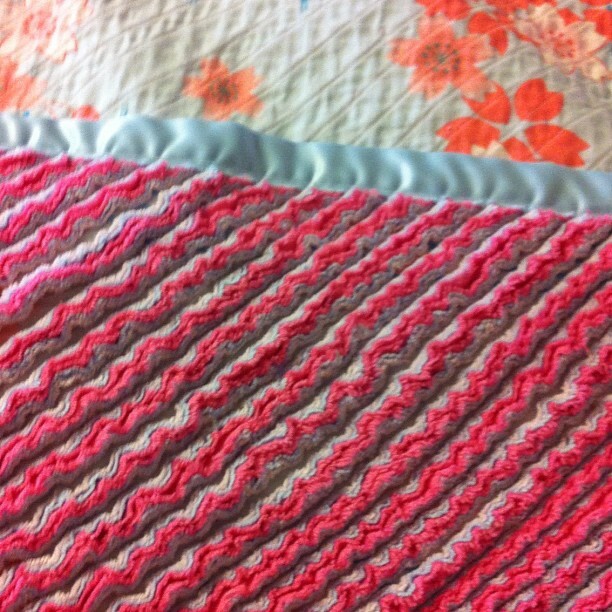 I rounded the corners on this blanket because I did it on the last and I liked it a lot. 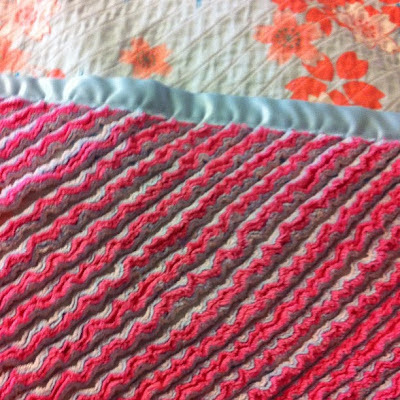 With this blanket though, I used the more silky blanket binding and first it was too bulky to fit around the round edges. 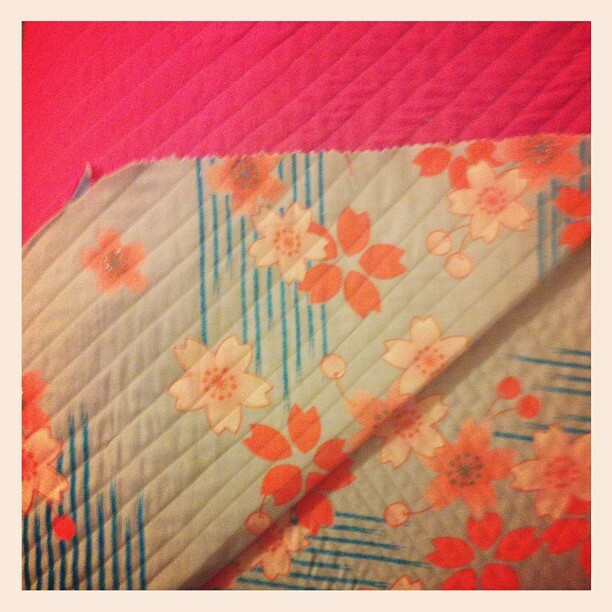 So I cut it in half and that seemed to work better but it didn't look as nice as when I used the cotton binding.